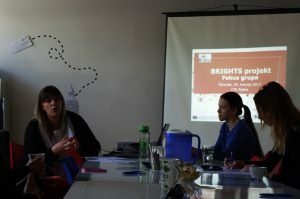 Centre of Technical Culture Rijeka held a focus group with the goal of presenting two key concepts of the BRIGHTS project: Global citizenship education and digital storytelling. Since the focus of said education and digital storytelling are youths aged from 13 to 19, as well as their teachers and trainers, the focus group gathered members from all walks of education: civil and public sector, formal, informal and nonformal education. They were presented with the short explanation of each key concept, and were free to comment and present their opinions. Concerning global citizenship education, they put great emphasis on educating youth as the most important age group. They expressed worry because of politics on the national level meddling in worthy initiatives such as civil education. Because of suppression and lack of good information, they find that local youths are getting more intolerant towards anybody they perceive as different, i.e. members of other ethnicities and homeless. One of the conclusions about global citizenship education is that it has to stem from local context. People need to be open to others in their community, and raise their awareness and hopefully, acceptance to the global level. They listed the following as the most desirable traits among teachers and trainers: willingness to listen, recognizing, stimulating and using the potential of the group, being methodologically sound and experienced, finding ways to solve conflict and eliminate aggression, and in general, being open and cultivating positive outlook towards the world. 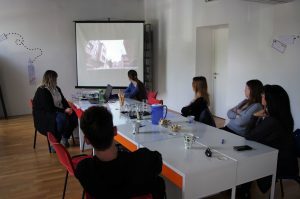 Concerning digital storytelling, they watched some of the videos made during the RIGHTS and similar projects, and found the method a great tool for learning and presenting information, especially for the young people. Some of them already use the method, and find it engaging and effortless in implementation, since youths are technically well versed, and ready to use that knowledge to present information. On the other hand, their work needs firm mentorship from teachers and trainers, to guide, motivate and help them to find valid information, as well as understand the general idea of global citizenship education. Also, members of the focus group were called to participate in the Unite-IT platform, and are interested in the next steps of the project.